Nurses have the incredible privilege of serving others through all phases of life—from birth to death. When a woman learns that she is pregnant, nurses are there to care for the expecting mother and her growing baby. When a woman delivers her newborn baby, nurses are there to witness that child’s first breath. With nursing, you can advance to positions of leadership and become a charge nurse, nurse manager, etc. 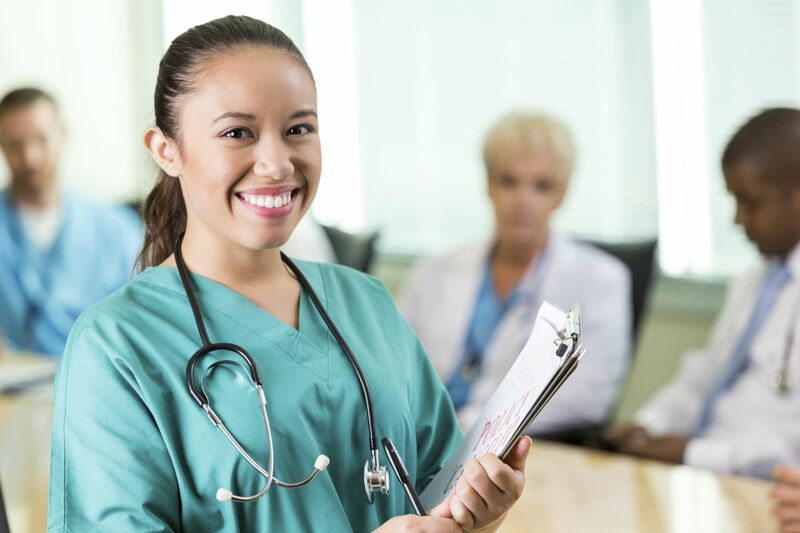 In addition, you can pursue advanced degrees to increase your income and scope of practice by becoming an advanced practice registered nurse such as a nurse practitioner, CRNA, nurse midwife, or clinical nurse specialist. There is tremendous opportunity for advancement in the nursing profession. As a nurse, you can work day shift or night shift. You can work full-time, part-time, or PRN (as needed). You can work weekdays or weekends. You can work a 9-5 job Monday through Friday, or 12-hour shifts 3-4 days per week. As a nurse, you’ll learn about diseases, medications, the latest technology in healthcare, and other nursing knowledge that can help you educate your patients and loved ones, and potentially even save lives. Nurses use their knowledge to save lives! According to the Bureau of Labor Statistics, in 2016, licensed practical nurses (LPNs) in the U.S. earned an average salary of $44,840, registered nurses earned an average salary of $72,180, and CRNAs earned the most, with an average salary coming in at $164,030. As a nurse, you may also enjoy good benefit packages from most employers, including perks such as vacation time, healthcare benefits, and more.